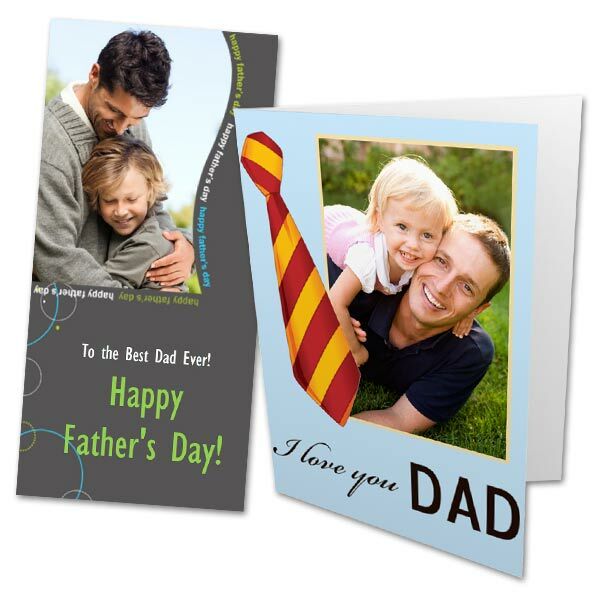 Wish Dad all the best this Father's Day with a custom Fathers Day card! We offer a wide array of styles that you can personalize with your favorite photos. Upload pictures of yourself with Dad from a favorite camping trip. Or, select a photo of him with the kids to share a favorite memory with him on his special day. Furthermore, our card maker includes a text feature so you can have your own personalized message custom printed next to your pictures. With all of our custom options, you can create a Fathers Day photo card that's not only brimming with character, but celebrates just how much he means to you! Now that you've thought about your greeting, have you see our collection or personalized Fathers Day gifts? From photo aprons to Fathers Day photo books, we offer dozens of unique products that you can design for Dad that tell a story and bring his fondest moments to life!